Khaled Bahah arrives on inspection visit on Socotra 350 kilometres off mainland after it was hit by two tropical cyclones. 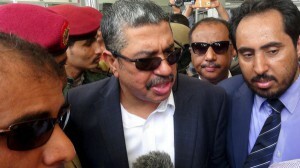 (Yemen) – Yemen’s prime minister, arrived Sunday on the island of Socotra and announced his government’s return. Khaled Bahah arrived on an inspection visit on Socotra 350 kilometres (210 miles) off the mainland after it was hit by two tropical cyclones a week apart. Cyclones Chapala and Megh killed 26 people on Socotra and in southeast Yemen. China urged the concerned parties in Yemen to implement the UN Security Council (UNSC) latest resolution on Yemen and to continue the dialogue in order to address the country’s current crisis. The Chinese Foreign Ministry Spokesperson Hua Chunying said in a press release on Monday, the political parties have to end disputes via negotiations in order to support the political transition and restore the country’s stability and security. 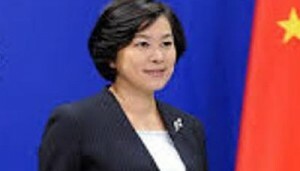 China is closely following the current political and security situation in Yemen, Chunying said, adding that China has no immediate plan to close its embassy in Yemen or withdraw its diplomatic staff from the country. CAIRO — The United States on Monday imposed sanctions on the former president of Yemen, Ali Abdullah Saleh, a onetime American counterterrorism ally whom the Obama administration accused of undermining “stability” in Yemen. Mr. Saleh was forced from power in 2012 after protests against his 33-year rule, but he has remained an influential political figure. A statement from the Treasury Department accused Mr. Saleh of being one of the “primary supporters of violence” perpetrated by the Houthis, a rebel group that took control of Sana, the Yemeni capital, in September. 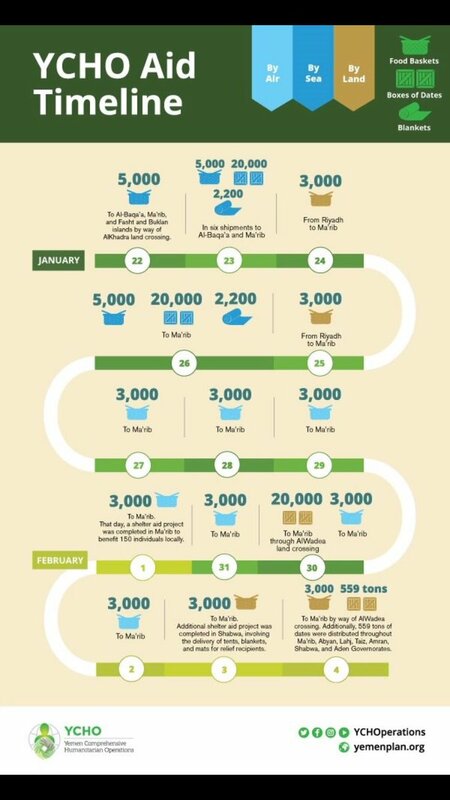 The Houthi takeover set off a political crisis that has weakened the authority of the current president, Abdu Rabbu Mansour Hadi, who is backed by the United States. 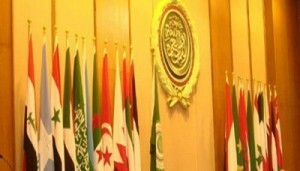 The Group of Ten Ambassadors welcomes the signing of the agreement to resolve the current crisis and calls for rapid and full implementation of all provisions of the agreement and for adherence by all parties to the GCC Initiative and Implementation Mechanism, the National Dialogue Outcomes, and the relevant UN Security Council Resolutions. 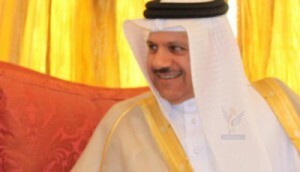 We uphold President Hadi’s role as the legitimate head of state and call on all parties to support him in implementing all aspects of the agreement which was reached with UN Envoy Jamal Benomar as a witness of the commitment Ansarallah and all political parties have made to the terms and conditions in their entirety. The United States will stand firmly behind the Yemeni government in confronting challenges to progress in the peaceful transition process, the US National Security Council (NSC) spokeswoman said on Sunday. Caitlin Hayden’s statement came to comment on the visit of U.S. Assistant to the President for Homeland Security and Counterterrorism Lisa Monaco to Yemen. Ms. Monaco’s visit aimed “to underscore the United States’ enduring support for President Hadi and the people of Yemen as they pursue peace, stability, and prosperity through the country’s historic political transition and economic reform process,” Hayden said. Secretary General of the Gulf Cooperation Council Abdul Latif Al-Zayani warned on Sunday against the continuation of the current escalation in the capital Sana’a which could hinder the political process in Yemen. Yemeni society to stick to the implementation of the outcomes of the comprehensive National Dialogue Conference (NDC) and to actively contribute to creating suitable atmospheres to finalize implementation of the 3rd phase of the Gulf initiative and its executive mechanism. He affirmed support of the GCC for the national presidential initiative, praising role of President Abd-Rabbu Mansour Hadi to solve this worrying situation.